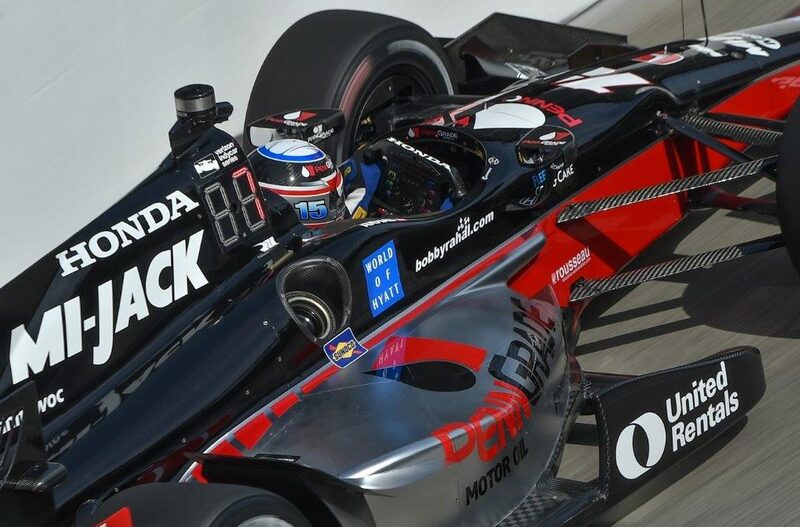 FAST FACTS: Will be his 11th Champ or Indy car race here and 12th overall … In 2016, after setting the third fastest time overall on Friday, Rahal held the fastest spot in Saturday morning’s final practice at one point late in the session and was ranked sixth with a few minutes to go when he made contact with the wall in Turn 9 and sustained damage to his front and rear wings and left-side corners of his car. The team repaired it by qualifying but he was unable to progress from his group and ultimately qualified 17th. In the race, the team elected for an alternate strategy due to starting from 17th place. 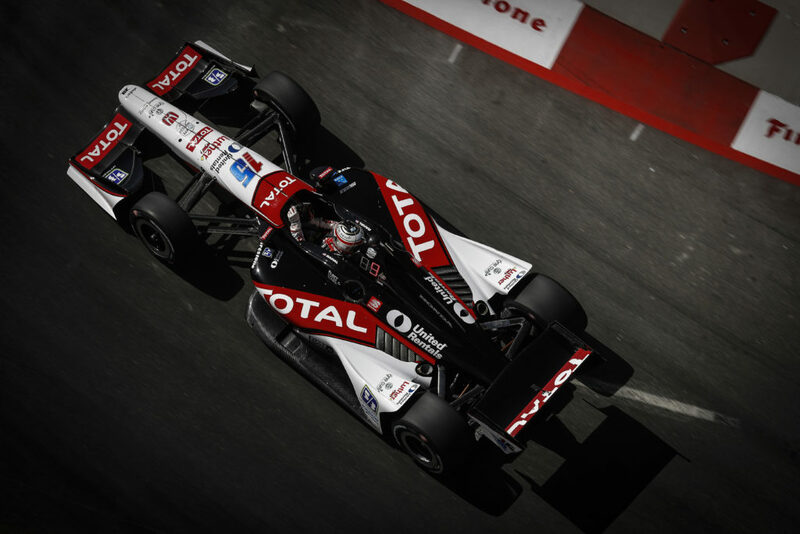 Rahal passed two cars on the start and another by Lap 3 to run 14th.. He made his first stop on Lap 20 of 80 and returned to the race in 19th place. As the field cycled through their stops he moved up to 10th place and later made his second stop on Lap 48 which came one lap earlier than expected which forced the team into even more of a fuel-savings mode. He had moved up to ninth place by Lap 59 and held it while the team hoped for a caution period. 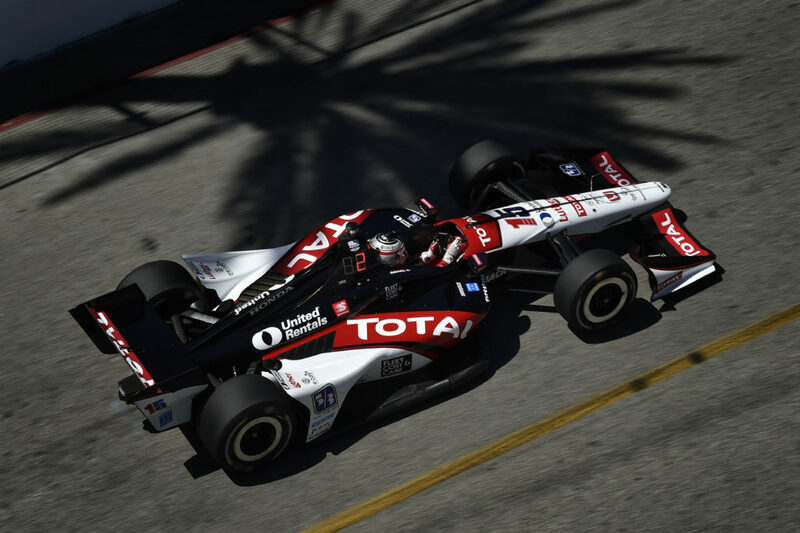 The race ran caution-free and Rahal dropped from ninth to 15th in the final 10 laps and coasted across the final line. 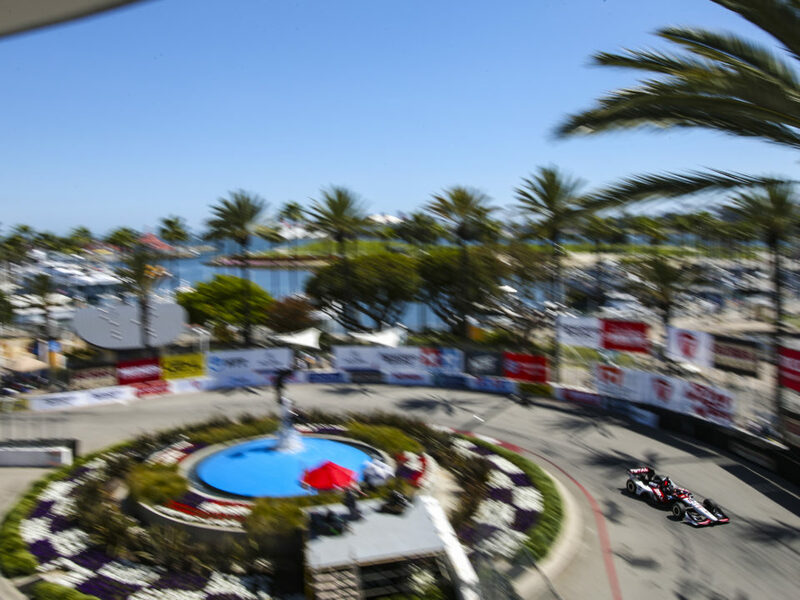 His car ultimately stooped on track in Turn 1… In 2015, he qualified eighth in Long Beach but struggled in the race and finished 11th… In 2014, he finished seventh after struggling in practice and qualifying 23rd… In 2013, he finished second after starting 11th with RLL… In 2012, he qualified 15th for Service Central Chip Ganassi Racing (SCCGR), started 8th due to penalties to Chevy-powered teams, ran as high as fourth but finished 24th due to contact with Marco Andretti… In 2011, he qualified 16th for SCCGR and finished 13th… In 2010 he started and finished 22nd for Sarah Fisher Racing after contact… In 2009, he started seventh and finished 12th for Newman/Haas/Lanigan Racing (NHLR)…In 2008 he started ninth and had a podium in sight when he was alongside third place but contact during this pass led to a 13th place finish for NHLR. Started fifth in 2007 but the pit strategy of others and slow fuel flow related to teething problems for the all-new Panoz Champ Car on two stops limited his finish to eighth place for NHLR. In the 2006 Champ Car Atlantic Series race here he started seventh and finished fifth… Has four IndyCar Series wins (2008 – St. Pete street course; 2015 – Fontana Super Speedway, Mid-Ohio road course; 2016 – Texas oval) and two poles (2009 – St. Pete street course, Kansas oval) and his highest series season-ending standing is fourth place in 2015. 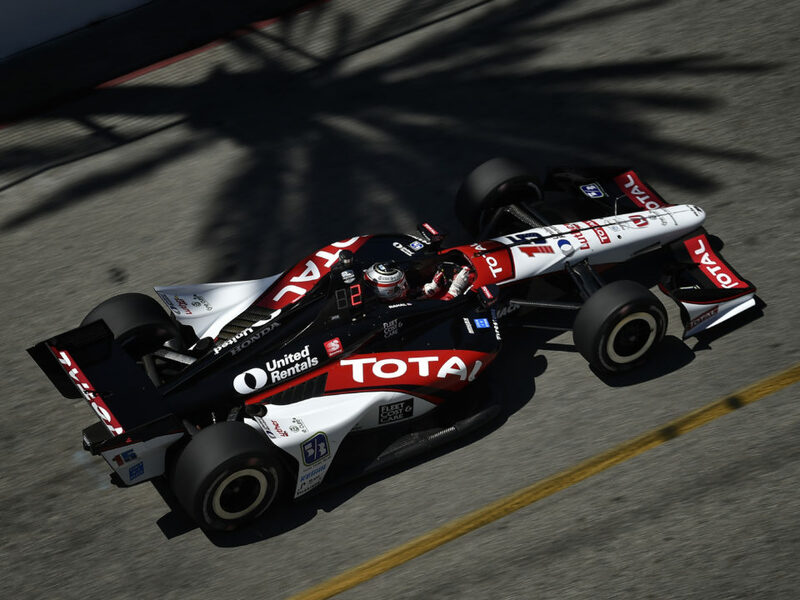 He finished fifth overall in 2016.3 POLES, 6 PODIUMS FOR RLL IN 17 INDY CAR RACES AT LONG BEACH: This marks the 18th time for Rahal Letterman Lanigan Racing (RLL) to compete in the main event. 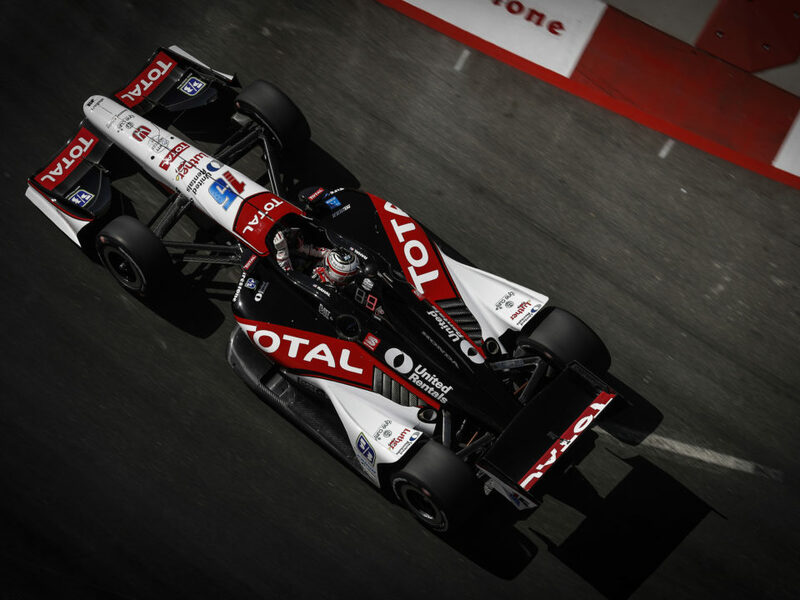 In total, the team has won three poles (Herta 1998, Vasser 2002, Jourdain, Jr. 2003); made five front row starts including an all-Team Rahal front row in 1998 (2nd – Rahal 1998, Brack 2001); earned their best finish of second place four times (Rahal 1992-1993, Vasser 2002, G. Rahal 2013) and earned six podiums here (2nd – Rahal 1992-1993, Vasser 2002 & G. Rahal 2013; 3rd – Herta 1998-1999). Although the team didn’t compete in Indy car races here from 2004-2011 while they fielded a fulltime entry in the Indy Racing League (2004-2008), they did compete in the 2003 and 2004 Atlantic races with Danica Patrick and in the 2007 American Le Mans Series (ALMS) race. In 2009, the team returned to the streets of Long Beach in the GTLM class of the ALMS with BMW Team RLL and has finished on the podium each year but 2016 which makes Long Beach the most successful venue for the team on the current WeatherTech SportsCar Championship schedule. The team has won the race three times (2011, 2013 and 2015) and started from pole five, including the past two years. 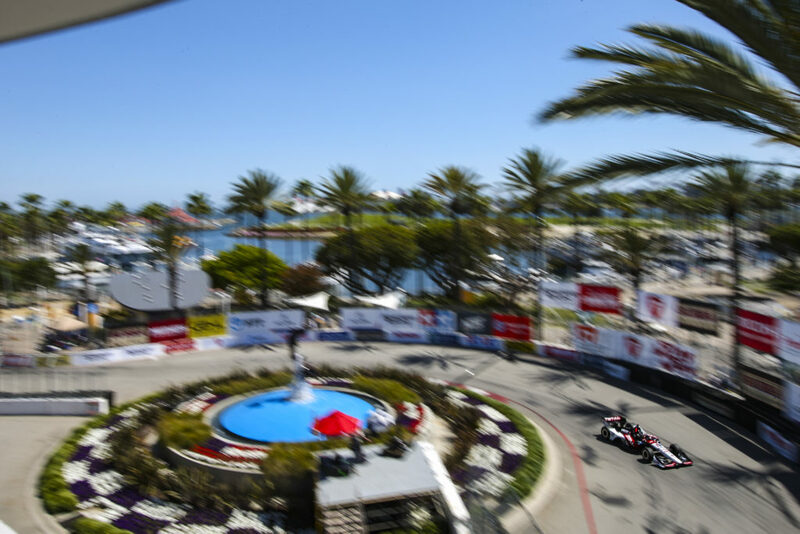 NEXT UP: Morning warmup will take place Sunday from 9:00-9:30 a.m. PT and the 85-lap Toyota Grand Prix of Long Beach will be televised live on NBCSN beginning at 4:00 p.m. ET.